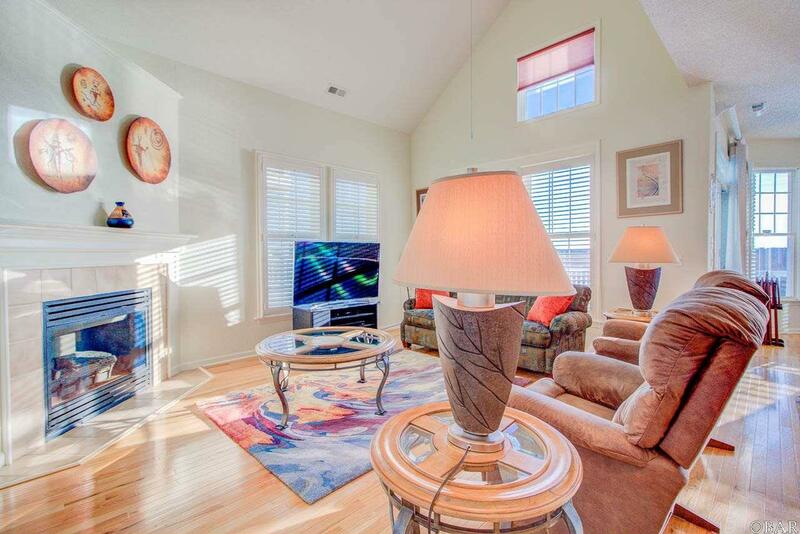 105 Ballast Point Drive Manteo, NC. 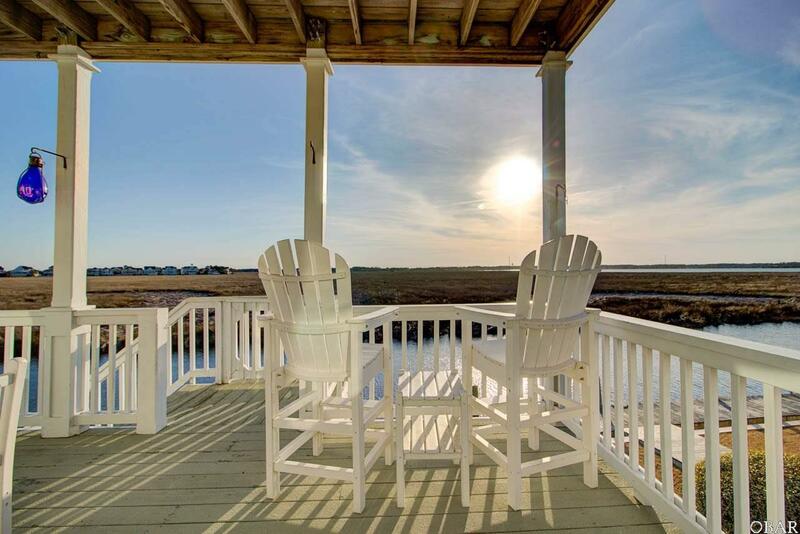 | MLS# 104497 | Outer Banks Homes For Sale, North Carolina Home Search Including Nags Head, Pirates Cove, Manteo, Kill Devil Hills Kitty Hawk, Southern Shores, Duck, and Corolla North Carolina, Oceanfront and Soundfront properties for sale and long term rentals. 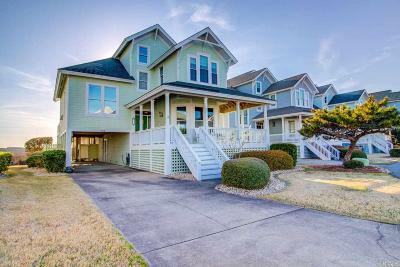 Breathtaking sunsets all year, and front row fireworks on the 4th of July and New Years are to be enjoyed from the large west facing deck and upper gallery of this four bedroom, three full and half bath home in Village Landings, Pirates Cove. 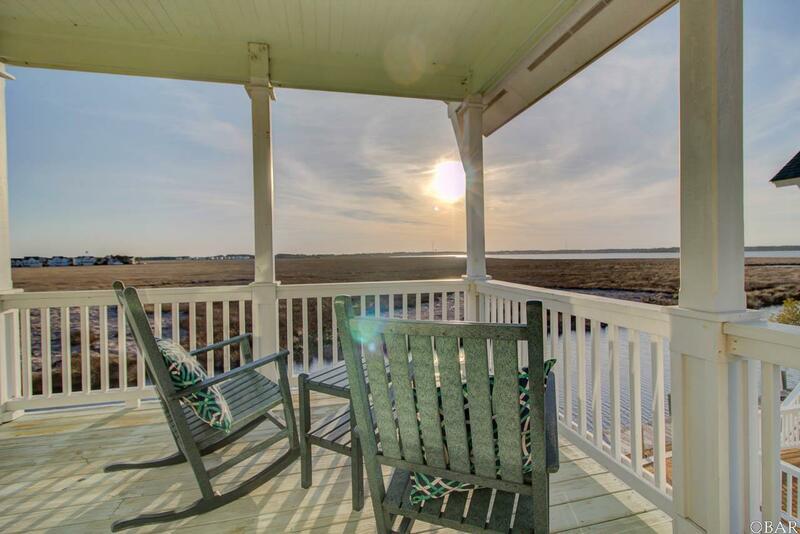 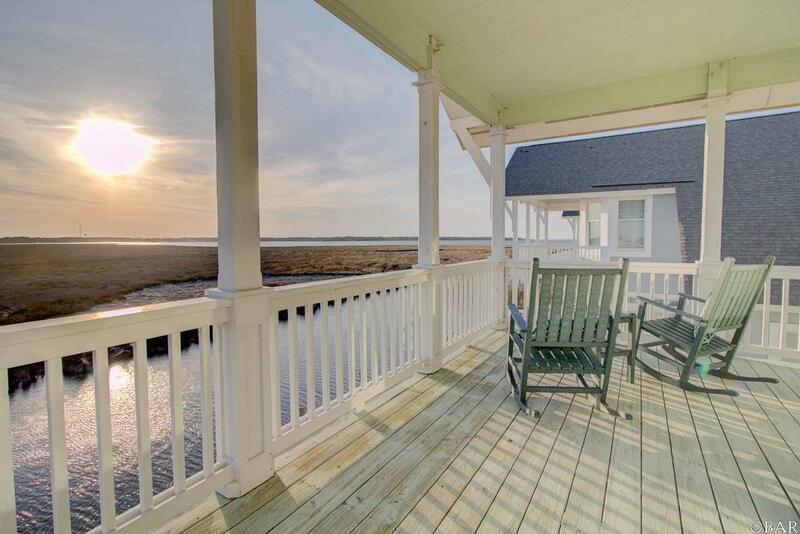 Large wrap around front porch faces east with Sound views and dramatic rising full moons and sparkle of Nags Head at night. 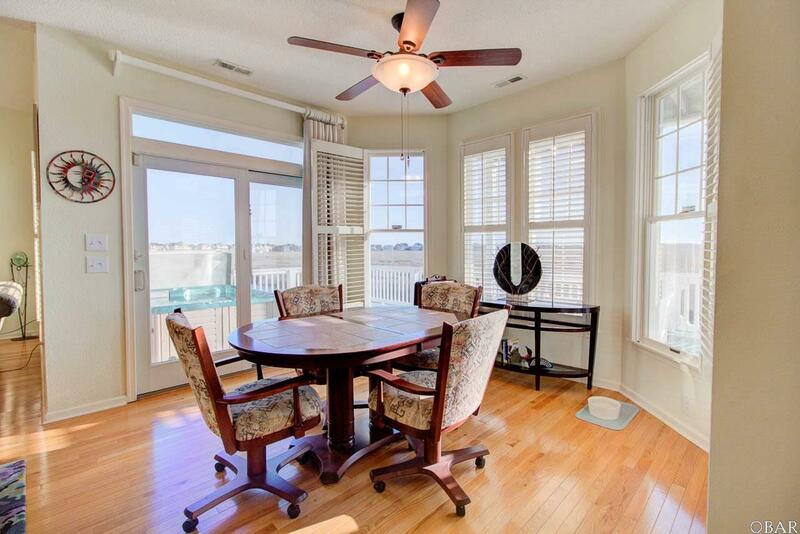 Almost every room in this home has a water view. 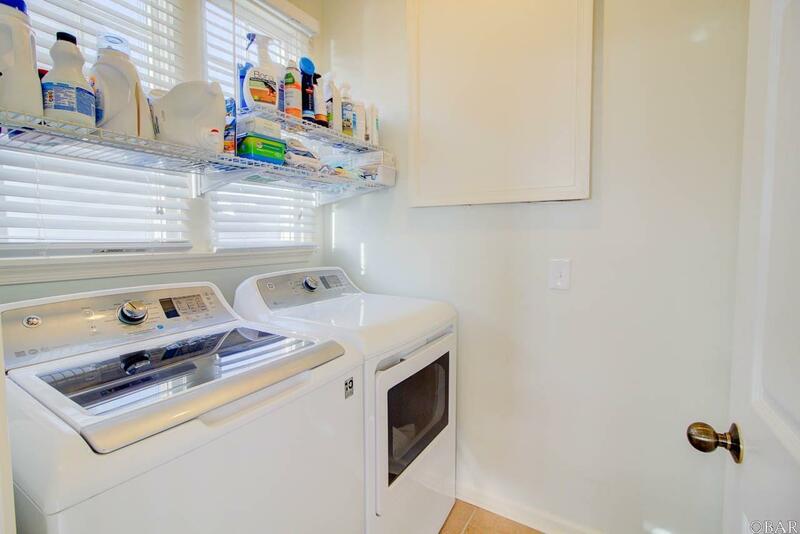 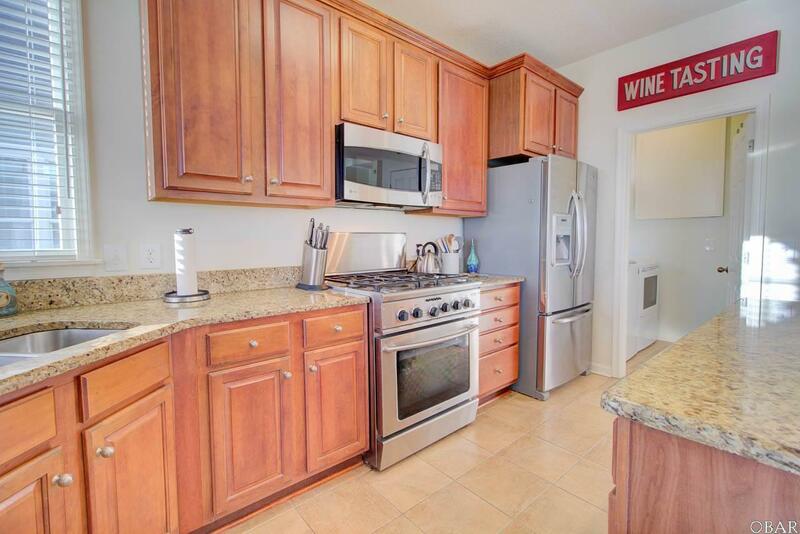 Packed with upgrades including Stainless Steel Appliances with a 5 burner gas cook top oven/range. 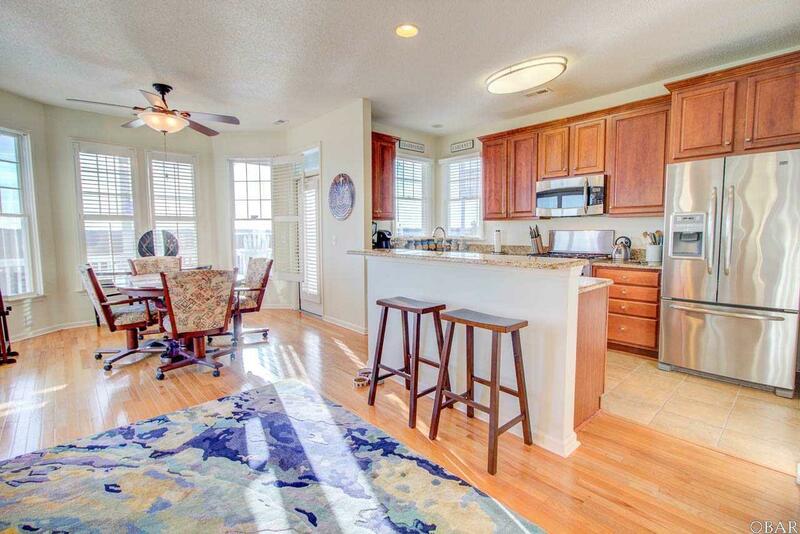 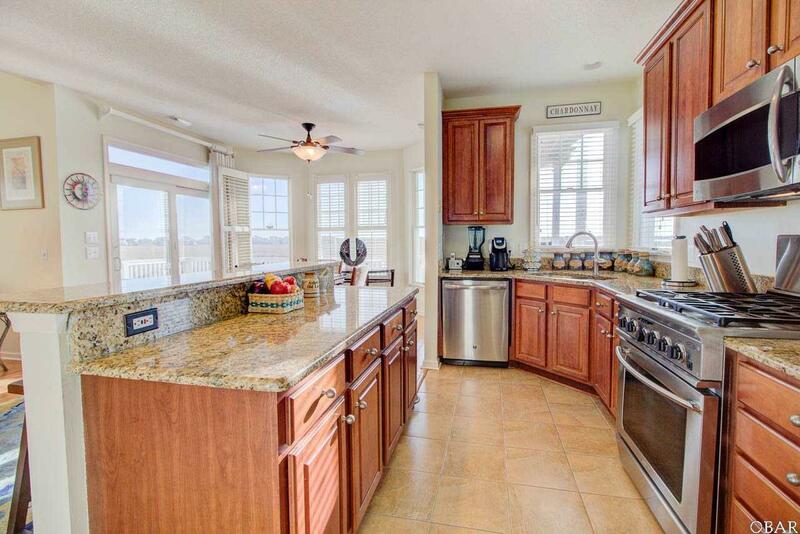 Cherry kitchen cabinetry and island bar are accented with beautiful granite counter tops and tile flooring. 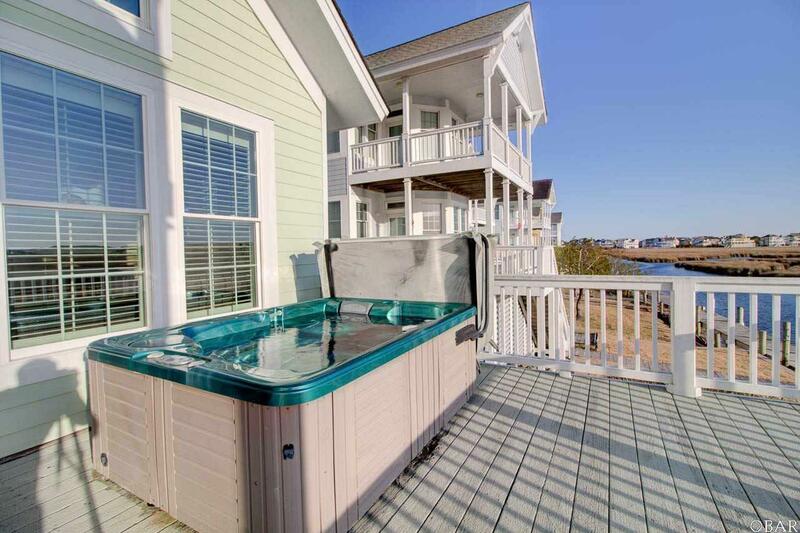 The dining and living room areas are finished with hardwood flooring and face the canal and Shallow Bag Bay with slider walk-out to enjoy the sunsets in the hot tub. 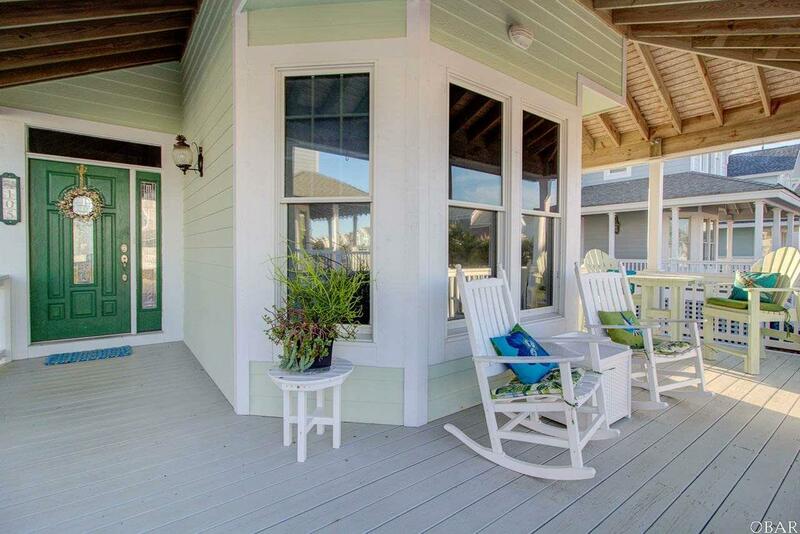 Another door beside kitchen opens to views of canal and Shallowbag Bay as you grill dinner on the covered deck or enjoy a cocktail in the shade. 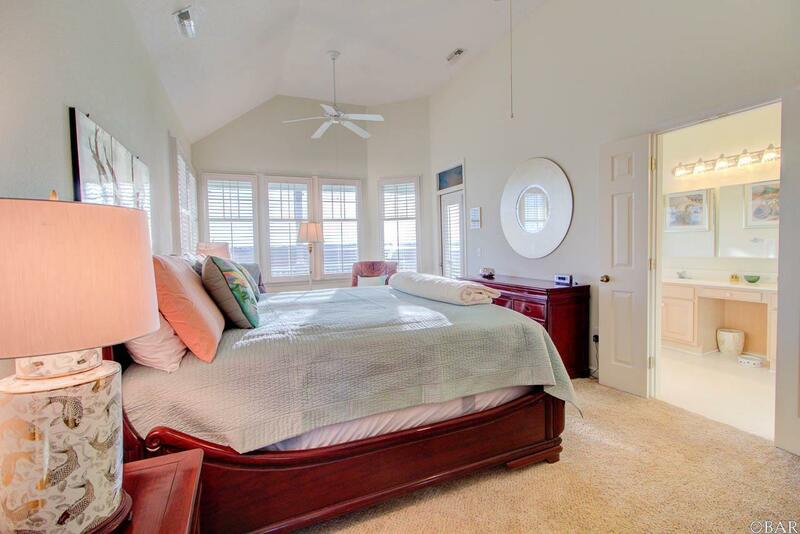 Bedrooms are spaciously separated by levels with a first floor guest suite or extra master with a full bath in suite, and a new mini-split system for individual control of heat/ac. 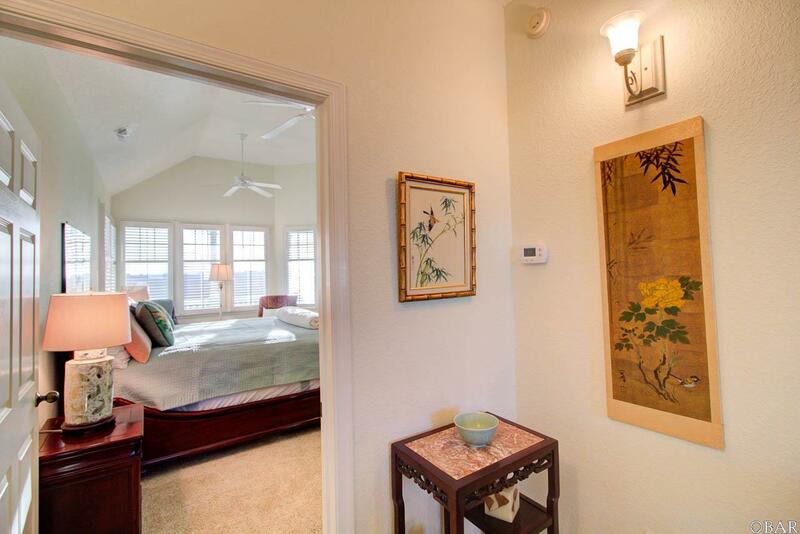 Second level bedroom/study on the main level has Sound view. 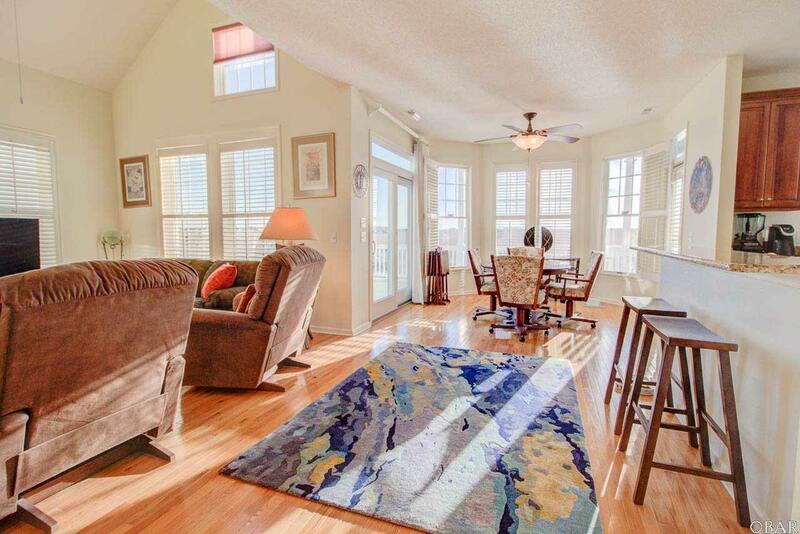 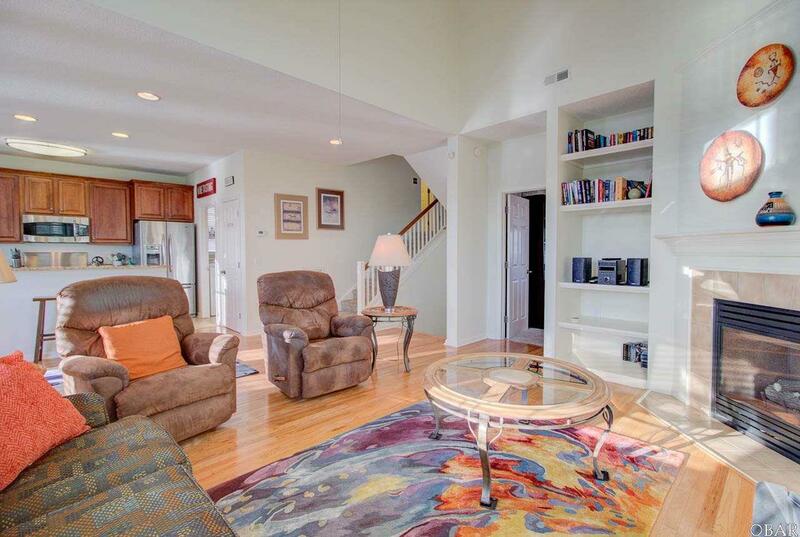 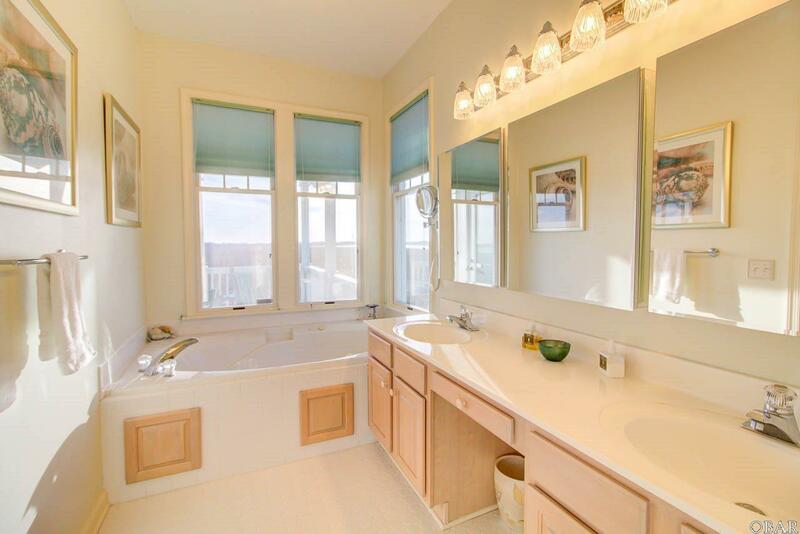 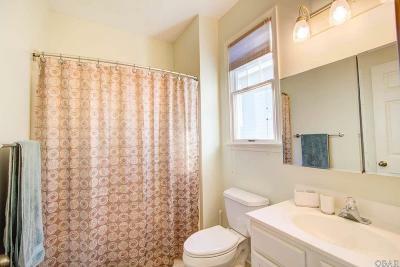 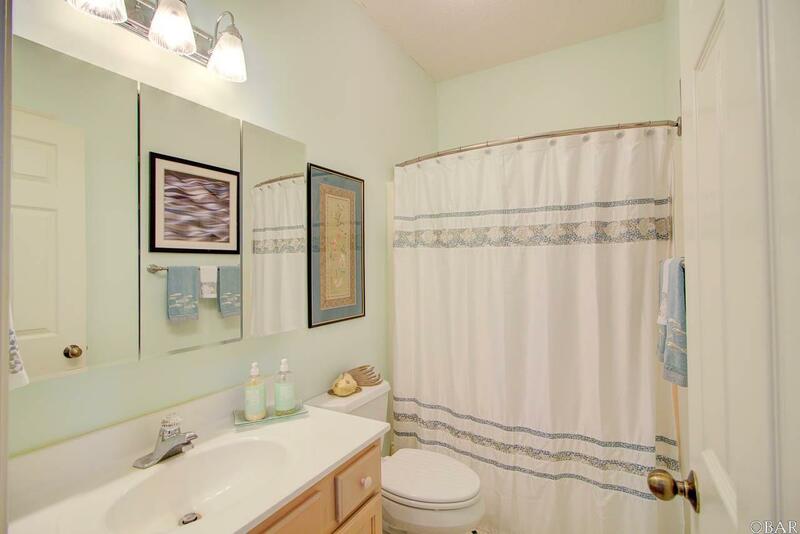 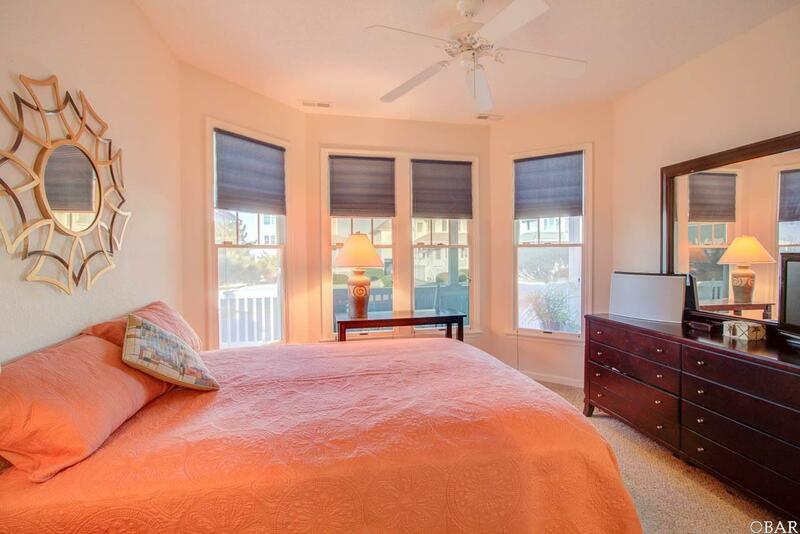 There is a third large guest bedroom and guest bath on mid level with water views of Roanoke Sound. 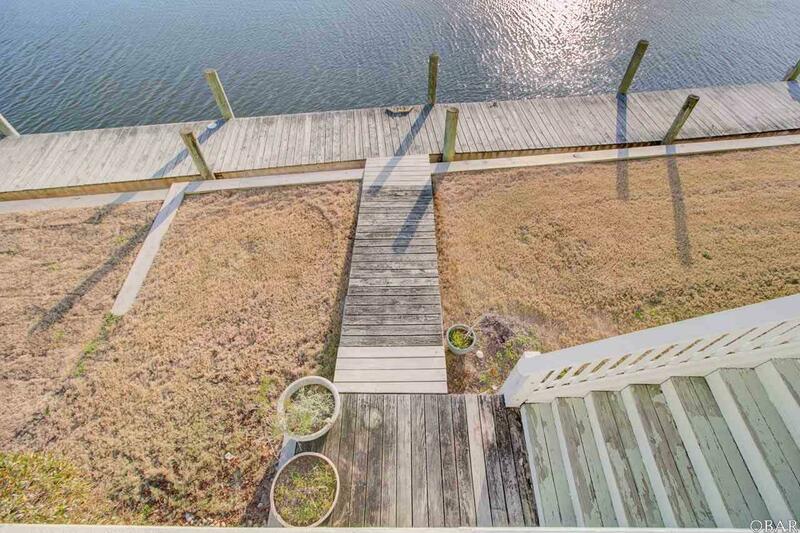 The master is on the upper level with master bath suite, walk in closet, and private deck with panoramic views of Shallow Bag Bay, Manteo, and the Sound. 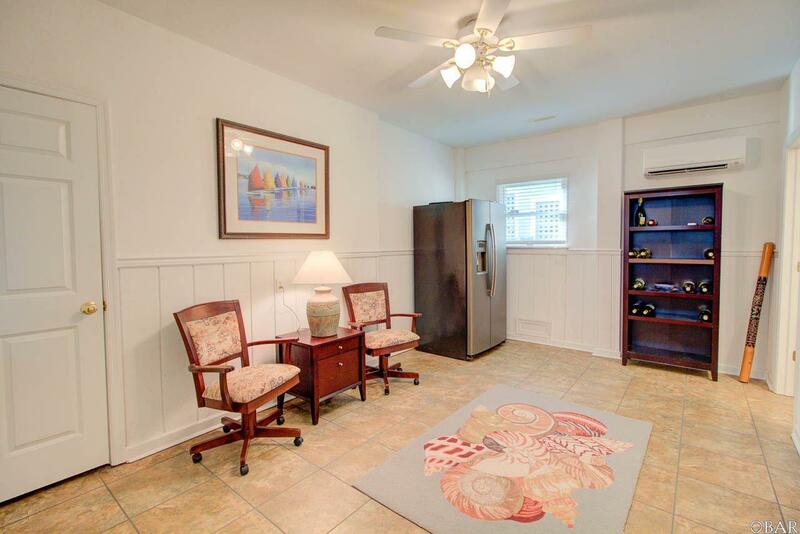 A finished lower level, permitted rec room per owners, has a mini split ac/heat unit and a partial bath with low maintenance faux tile floor. 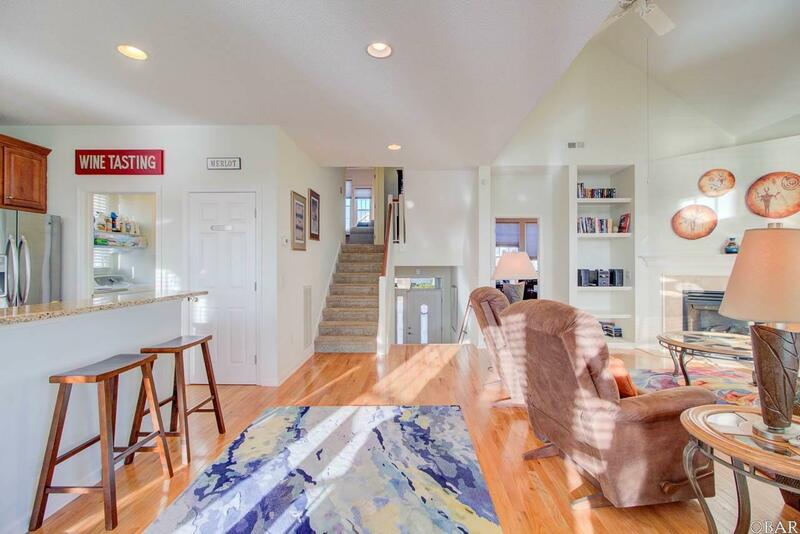 The lower level offers an additional storage area with built in shelving, and is large enough for a pool table, hang out for the kids or used as another entertainment area of the home. 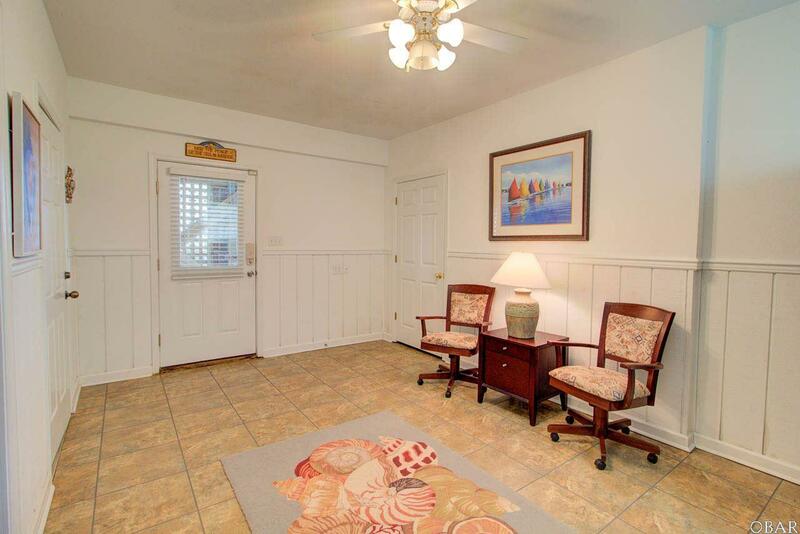 It is accessed from either the entry foyer or carport. 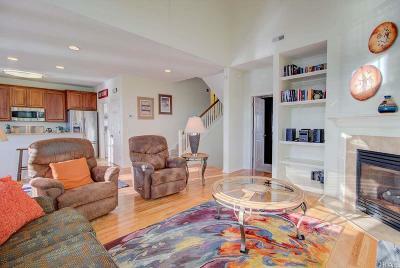 Lot has new bulkheading and a nice back yard for cook outs, horse shoes, or just watching wildlife. Village Landing grounds are maintained by the Pirates Cove Landscaping crew. 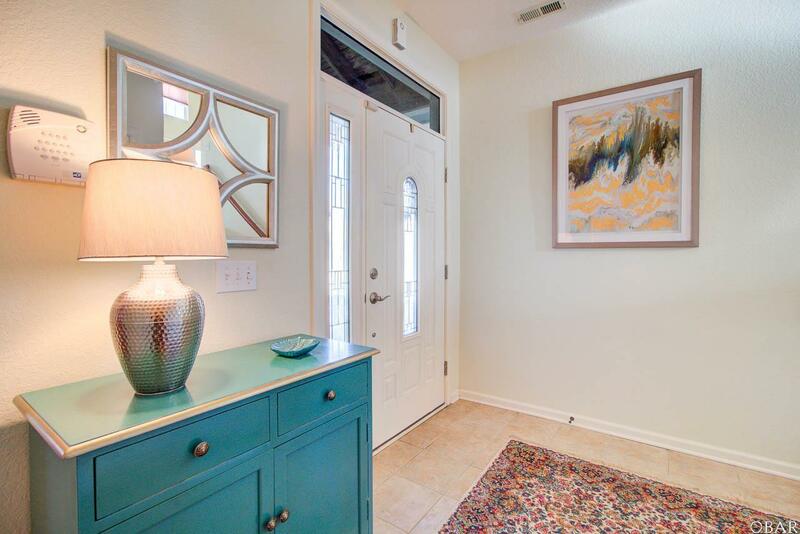 So, relax, and enjoy your home and the amenities offered, (two pools, fitness center, clubhouse, tennis courts, playground, walking docks, volley ball court and private community pavilion. 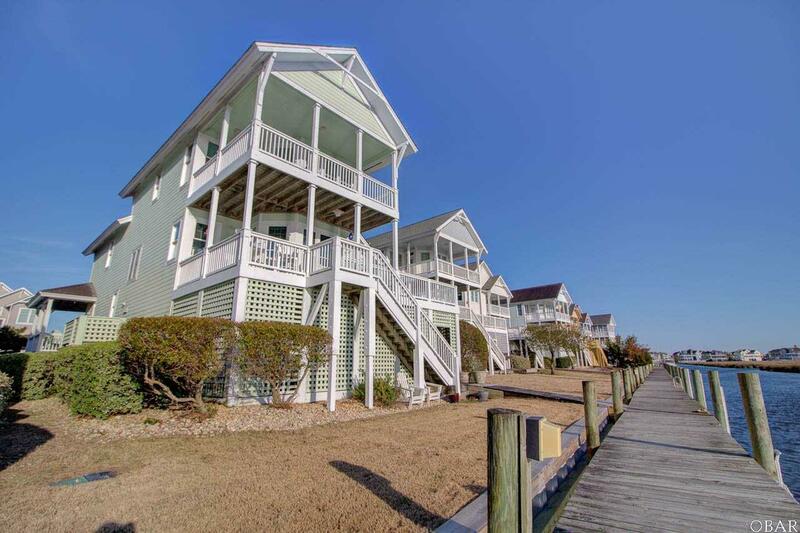 Pirates Cove is a golf cart friendly community so cart right on over to the marina and enjoy Mimi's Tiki Bar and watch the charter fleet come in with their catch of the day. Have a relaxing dinner at the restaurant or shop at the ship store. 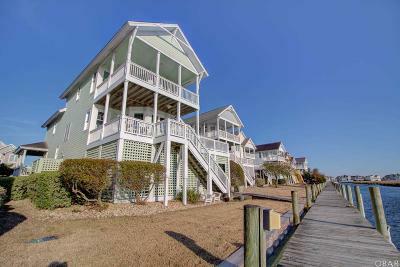 105 Village Landings offers a dock assignment, slip #65, to a qualified new owner with new home owners boat registration. 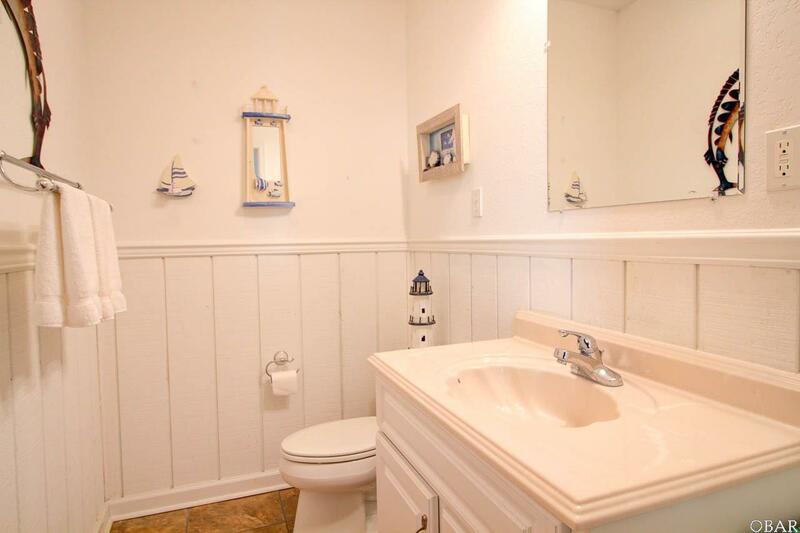 Take the time to plan ahead and see this home. 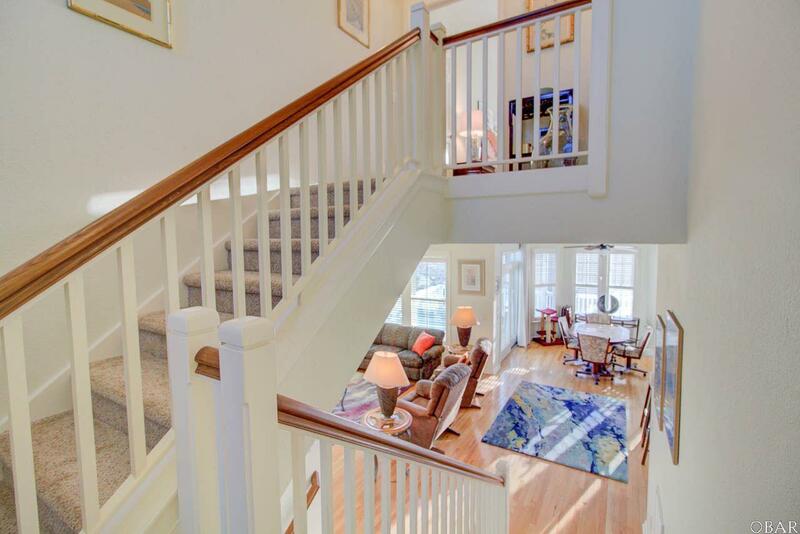 Pre-qualifed buyers are welcome to preview this home from 10AM to 6PM with a 24 hour notice.